Summer might be over, and we are now enjoying the shades of autumn, but this does not mean that there should not be any kind of BBQ going on in the rest of the world where the weather is fine! 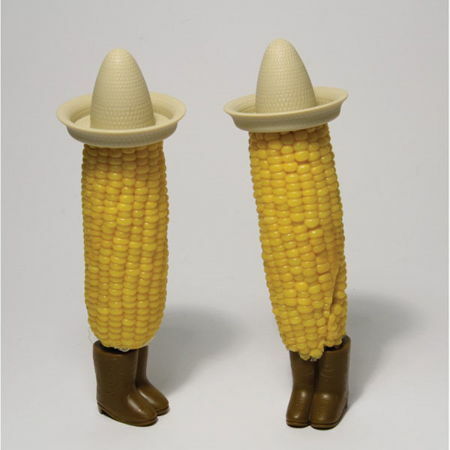 To add a dash of humor to your day when you are tasked with grilling some meat as well as corn on the cob, why not go all out and be the comedian that you have always wanted to be with the £7.99 Mexi-Corn on the Cob Corn Skewers? Each purchase will come in a set of two (after all, it does take two to tango), and deliver a touch of fun to any barbecue. It will even be accompanied by sombreros and boots, where the two skewers are quirky and yet practical.